In 1946, as U.S. troops returned in droves, victorious from World War II, Detroit was classic Americana in an era when laundry was still hung on wooden porch railings, children played stickball on brick-lined streets, and American ingenuity and patriotism were at all-time highs. It was the year Gus Guerra proved that Cadillac’s and Ford’s weren’t the only innovations to roll out of Detroit when, on the corner of Conant and Six Mile, he crafted the world’s first Detroit-style Pizza. 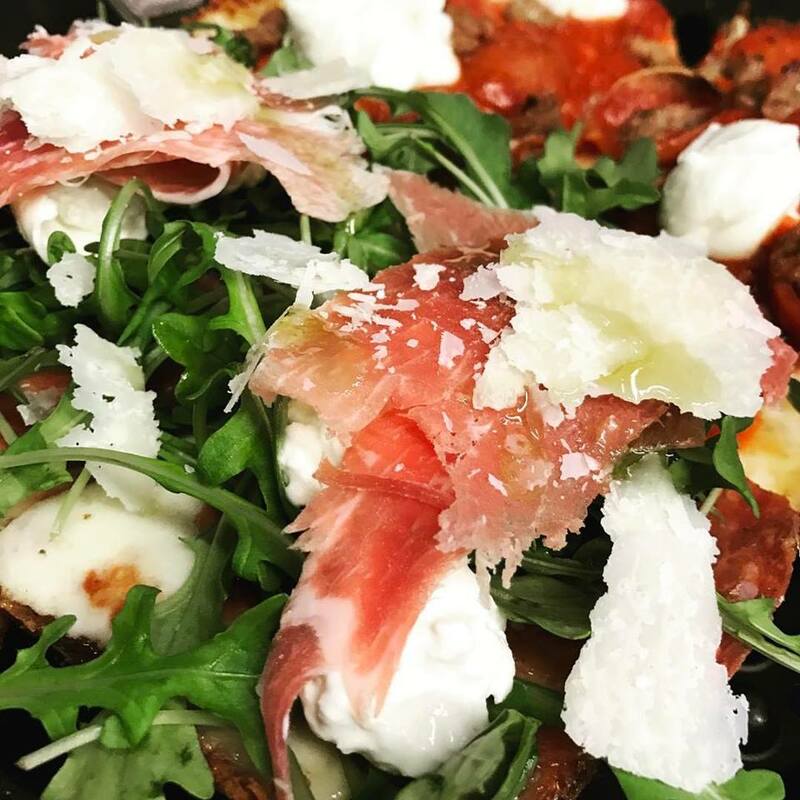 He enlisted his wife, Anna, to prepare the special pizza dough borrowed from the recipes of her mother’s homeland; Sicily. He lined the dough with a layer of pepperoni, a heaping layer of cheese, and topped it off with a thick drizzle of red sauce. Baked in a blue steel pan given to him by a friend who worked in the automotive business, the original authentic Detroit-style pizza was born. 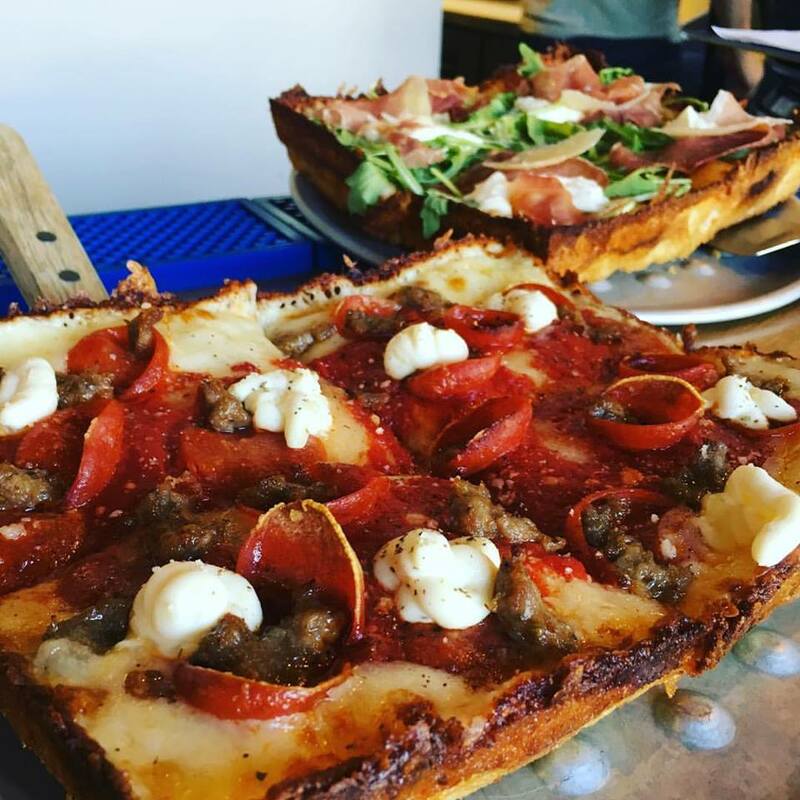 Gus Guerra’s gamble paid off as Detroit-style pizza quickly became a favorite neighborhood treat shared among friends and families enjoying moments of future nostalgia, and has since become a longtime staple of Detroit’s best cuisine. In 1953, Gus, Anna and their business partner, Gaspar Genco (Anna’s uncle), sold their business to Jimmy Valenti and Jimmy Bonacorsi, who shorted the name to “Buddy’s”. Today, dozens of pizzerias in Detroit and beyond continue to serve authentic Detroit-style pizza, a true slice of Americana. 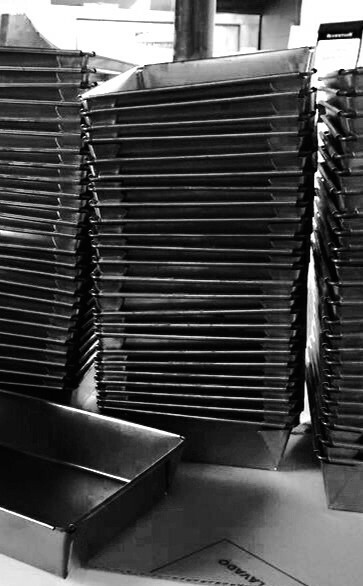 Blue Steel Pans: Authentic Detroit-Style Pizza should be baked in a square, blue steel pan when available. Optimal Dough Hydration Levels: In order to ensure proper texture after baking, dough recipes must have optimal hydration levels; usually between 65% and 75%. Margherita Pepperoni under Cheese: Authentic Detroit-Style Pizza features a layer of margherita pepperoni under the cheese. 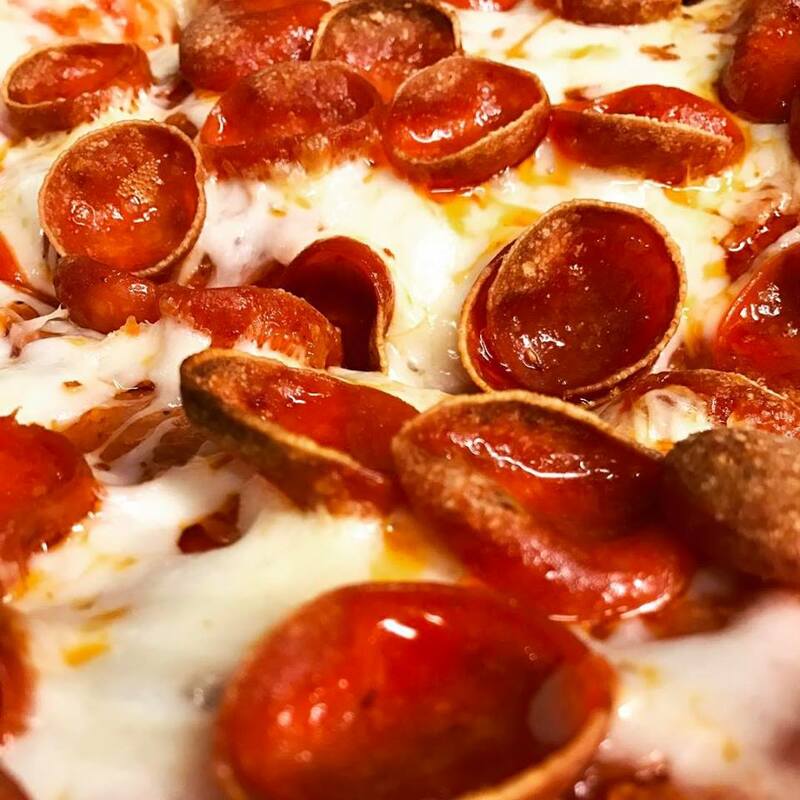 Specialty pizzas may have other styles of pepperoni on top of the cheese. Edge-to-Edge Cheese: Cheese must be spread edge-to-edge so it caramelizes on the crust. Sauce on Top: Red sauce must be ladled on top of the cheese. Deck Oven Baking: Authentic Detroit-style pizzas must be baked in a deck oven at high temperatures to create the caramelized crust that defines this style of pizza.